The Bassinova Quartet (Texas) | Oak Bay Music: Chamber Music Concerts Victoria B.C. 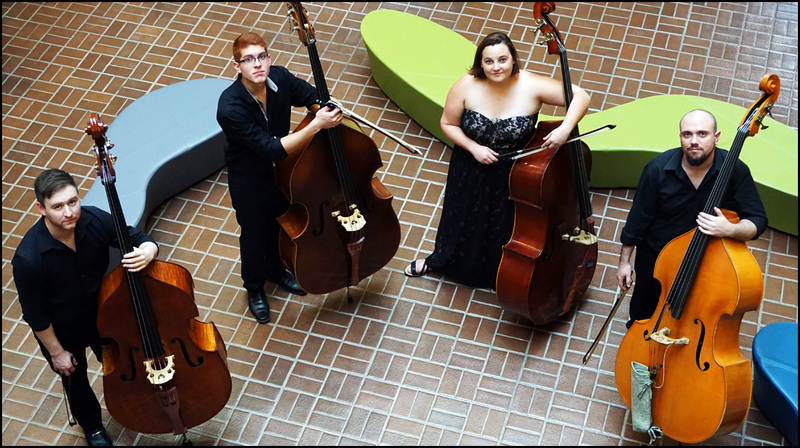 The Bassinova Quartet is a unique chamber ensemble from Texas, which focuses on showcasing the range, virtuosity, and musicality of the double bass. For this special Victoria visit, they will perform music by Beethoven, Shostakovich, as well as a newly composed work by Victoria composer Nathan Friedman. Works by Beethoven, Shostakovich, and Victoria composer Nathan Friedman.